This website is operated by Black Hills Coupon Book. 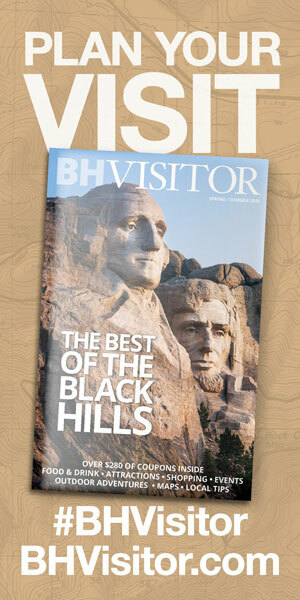 Throughout the site, the terms “we”, “us” and “our” refer to Black Hills Coupon Book. Black Hills Coupon Book offers this website, including all information, tools and services available from this site to you, the user, conditioned upon your acceptance of all terms, conditions, policies and notices stated here. By visiting our site and/ or purchasing something from us, you engage in our “Service” and agree to be bound by the following terms and conditions (“Terms of Service”, “Terms”), including those additional terms and conditions and policies referenced. These Terms of Service apply to all users of the site. At this time, Black Hills Coupon Book ships merchandise to locations within the continental United States and Canada. The risk of loss and title for all merchandise ordered on this Web site pass to you when the merchandise is delivered to the shipping carrier. 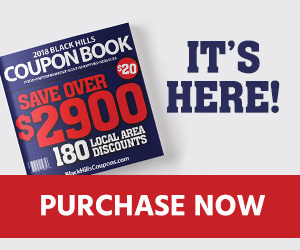 Black Hills Coupon Book charges sales tax for merchandise ordered on this Web site based on the applicable state sales tax rate and the location to which the order is being shipped. To be eligible for a refund, your item must be returned unused and in the same condition that you received it. You are responsible for paying shipping costs for any returned Black Hills Coupon Books. Shipping costs are non-refundable. If you receive a refund, the cost of return shipping will be deducted from your refund. We reserve the right, but are not obligated, to limit the sales of our products or Services to any person, geographic region or jurisdiction. We may exercise this right on a case-by-case basis. We reserve the right to limit the quantities of the products that we offer. All descriptions or product pricing are subject to change at anytime without notice, at the sole discretion of us. Any offer for any product or service made on this site is void where prohibited. In no case shall Black Hills Coupon Book, our directors, officers, employees, affiliates, agents, contractors, interns, suppliers, service providers or licensors be liable for any injury, loss, claim, or any direct, indirect, incidental, punitive, special, or consequential damages of any kind, including, without limitation lost profits, lost revenue, lost savings, loss of data, replacement costs, or any similar damages, whether based in contract, tort (including negligence), strict liability or otherwise, arising from your use of any of the service or any products procured using the service, or for any other claim related in any way to your use of the service or any product, including, but not limited to, any errors or omissions in any content, or any loss or damage of any kind incurred as a result of the use of the service or any content (or product) posted, transmitted, or otherwise made available via the service, even if advised of their possibility. Because some states or jurisdictions do not allow the exclusion or the limitation of liability for consequential or incidental damages, in such states or jurisdictions, our liability shall be limited to the maximum extent permitted by law. You agree to indemnify, defend and hold harmless Black Hills Coupon Book and our parent, subsidiaries, affiliates, partners, officers, directors, agents, contractors, licensors, service providers, subcontractors, suppliers, interns and employees, harmless from any claim or demand, including reasonable attorneys’ fees, made by any third-party due to or arising out of your breach of these Terms of Service or the documents they incorporate by reference, or your violation of any law or the rights of a third-party. Certain providers may be located or have facilities that are located in different jurisdiction than either you or us. If you elect to proceed with a transaction that involves the services of a third-party service provider, your information may become subject to the laws of the jurisdiction(s) in which that service provider or its facilities are located. Only employees who need the information to perform a specific job are granted access to personally identifiable information. ALL employees are kept up-to-date on our security and privacy practices. IN NO EVENT SHALL BLACK HILLS COUPON BOOK BE LIABLE TO YOU OR ANY THIRD PARTY FOR ANY INDIRECT, CONSEQUENTIAL, EXEMPLARY, INCIDENTAL, SPECIAL OR PUNITIVE DAMAGES, INCLUDING LOST PROFIT DAMAGES ARISING FROM YOUR USE OF THE WEB SITE OR THE SERVICE, EVEN IF BLACK HILLS COUPON BOOK HAS BEEN ADVISED OF THE POSSIBILITY OF SUCH DAMAGES. NOTWITHSTANDING ANYTHING TO THE CONTRARY CONTAINED HEREIN, BLACK HILLS COUPON BOOK LIABILITY TO YOU FOR ANY CAUSE WHATSOEVER AND REGARDLESS OF THE FORM OF THE ACTION, WILL AT ALL TIMES BE LIMITED TO AMOUNT PAID, IF ANY, BY YOU TO BLACK HILLS COUPON BOOK.